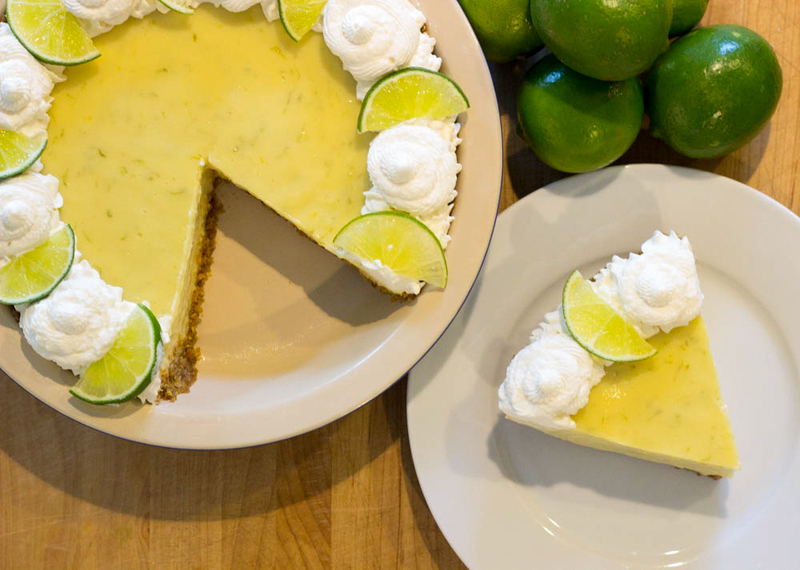 This recipe is everything that Key Lime Pie should be—fresh, zesty, creamy and crunchy. The homemade crust is what makes this pie special. We mix granola into our graham cracker crumbs to add depth of flavor and a little extra crunch. 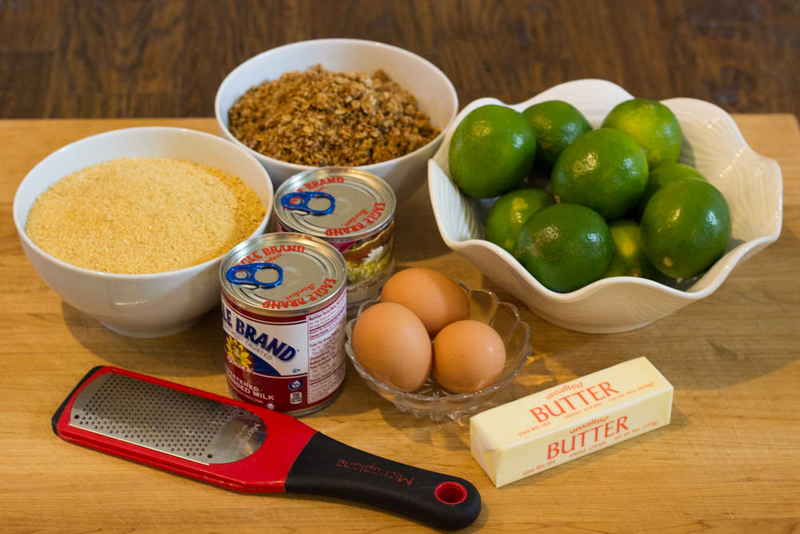 Taste tested and Ambit approved, we know you’ll love this Key Lime Pie as much as we do. Preheat oven to 350 degrees. Place granola in a plastic bag and crush using a meat tenderizer or rolling pin until coarsely ground (you can also use a food processor). Transfer to a medium bowl. Mix in graham cracker crumbs, melted butter, and sugar. Press crumb mixture over the bottom and up the sides of a 9-inch-diameter pie plate. Bake until crust is golden brown, 8-10 minutes. Remove crust from oven and cool completely. Lower the oven temperature to 325 degrees. In a separate bowl, combine the condensed milk, lime juice, and eggs. Whisk until well blended and then pour the filling into the cooled pie shell. Bake in the oven for 15-17 minutes, until the filling is set. Chill in the refrigerator for at least 3 hours. 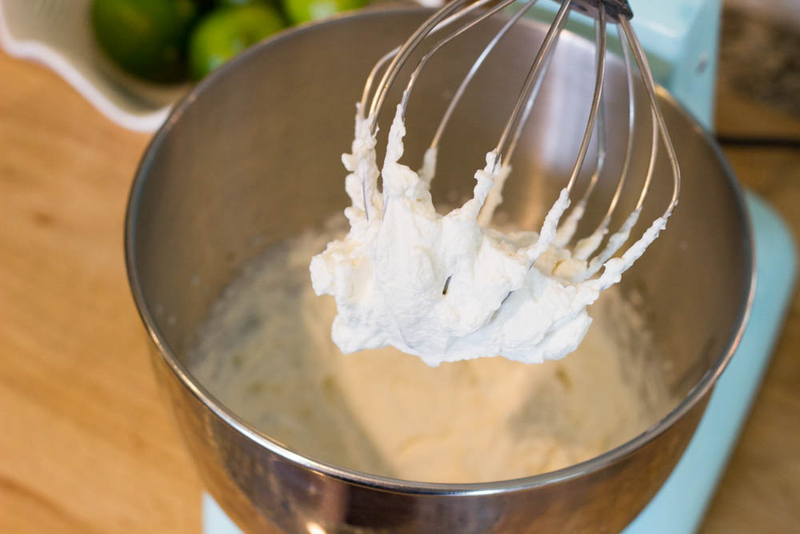 Beat heavy cream on high with an electric mixer (fitted with the whisk attachment) until soft peaks form. Mix in sugar and vanilla. 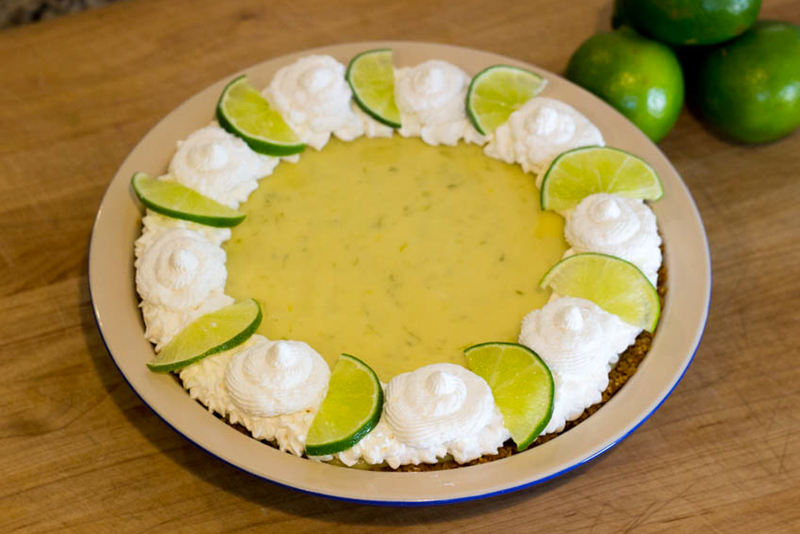 Spoon or pipe whipped cream onto the pie and decorate with thin lime slices. Serve chilled. Key Lime Pie, right? Well, news flash. Regular limes will do the job too. Key limes are oftentimes hard and off-color by the time they get to your local grocery store. So if key limes are not an option, grab some regular ones and your pie will be just as delicious. But never (and we mean never!) use bottled lime juice. Fresh is always the best. 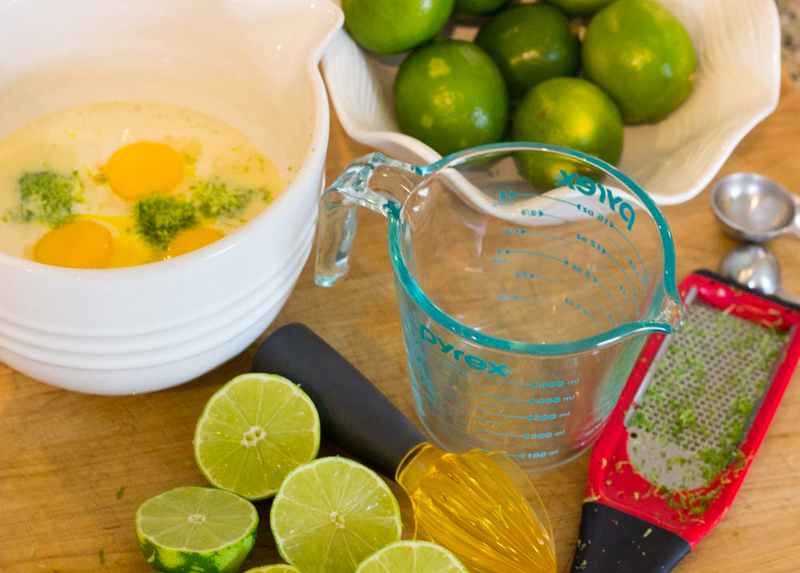 A microplane and hand juicer make this baking process a breeze. Be sure to zest your limes before juicing them and only zest the skin, not the pith of the lime (the white spongy layer). The pith will make your pie taste bitter. Whipped cream is a must for this Key Lime Pie. If you don’t have piping tips, a big dollop of whipped cream in the middle of the pie looks great. If you want to go the piping route, we like to do the classic “around the edge” design with lime slices on top. If you have piping tips and no bags, a gallon Ziploc bag with one corner trimmed off does the job too. Just be sure not to add too much whipped cream to the bag all at once.